Capadia Designs: A new discovery! Do you love Legos? Do you have kids that love Legos? Are you looking for something new to do with the Legos? Today I found out about an amazing new product! Thanks to my younger son for letting me know about this. Here is a LINK - the site is in Japanese, but you can get the idea from the photos. Oh, the creative possibilities..... I see some interesting Cricut/Lego projects in my near future! My daughter's only 4, so we haven't amassed a lot of Legos yet and I think she'll wig out if I steal some! I can't wait to see your creations. What a great idea! My son is a Lego fiend! His entire Christmas wish list is Lego. I'm already thinking that we'll have to figure out the dimensions for the bricks and design cut files to make some of these ideas! 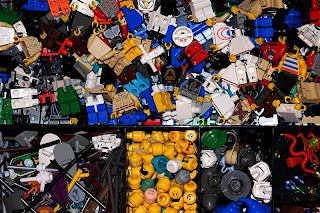 We have tons of Lego here. What a Cool find. Thanks for sharing this neat site. OMG! !..Now clever is that! !..Yep, I can see this being applied using our cricuts..lol..I thought it funny though that the little boy and the paper dolls didn't look Japanese..lol..
Can you get someone to help translate, so it can be ordered? This looks like it is for the original size Legos. This would be fun with duplos. If you use Internet Explorer, it will translate to English for you. Find "page" on the tool bar on the right, then in the drop down menu, choose "translate with live search." Now you can READ it and look at the pictures! How facinating. It's amazing how you can find a special use for almost everything we have. Looks like fun creating! Well, I couldn't find a way to translate with IE7 or 8, or with Firefox, unfortunately. This looks like a cool little tool & template, not to mention the kit thing in the box, that my DH & kids would all love to play with!